You are here: Home / General / Is Circumnavigation Resource Management pvt ltd doing Job Fraud ? 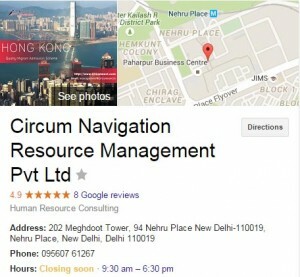 Is Circumnavigation Resource Management pvt ltd doing Job Fraud ? You are here as you have the same question above in your mind. But Sorry, I don’t know the answer for that. I cannot say whether they are or they are not. But I know, you have got a call or email from them and now you are here to know about Circumnavi before making payment to them. Below I am sharing my experience. Read it and find your answer yourself. Here is my experience with circumnavigation resource management pvt ltd and how I lost my money of Rs 4000/- that I payed. In this post I am not claiming they are fraud. I am just sharing my experience with them and the doubts regarding their recruitment process. I lost my money few months before. Yet I didn’t write a review about them as I don’t want to blame anyone without having a valid reason. Because at first I thought, they may be very good consultancy and my fear of losing money may have made me think they are fake. But now I have strong doubts that they may be doing fraud and by Googling I know about many others who lost their hard earned money. So writing my experience here, that may help you to choose right decision. from not getting caught under their trap. It was on November 2014 when I got an email from Circumnavi mentioning that I got shortlisted by one international employer and I can get a job in Hongkong. I was so excited as I was looking for a job abroad and waiting for such an opportunity. I had given my preferred location as outside India in job profile in all job portals where I have an account. So this may be how they got my resume. I replied to email with my interest for the position. Next day I got call from one of their employer named Abhilash. In call he told me to pay Rs 4000/- for technical evaluation. He mentioned that technical evaluation is done by immigration experts in UK and so I will get the receipt of payment. After his call he send me bank details where payment to be done and a technical evaluation form. I send the documents along with the payment. After few days I got an email with invoice of payment. But it was not the one as they said but only an invoice printed and sealed with their office seal. When I asked for a proof that they paid the fee to authorized authority, they refused to share any such document and told me they can’t share that. Few days after I send the document, they send me technical evaluation report with qualified score. Later he arranged a telephonic interview. That was an internet call and it was very simple interview. Interviewer ask me nothing technical. It was so simple that even most of the freshers can clear it. My interview was for a 2 year experienced position. How can a company hire one by giving such a simple non technical interview? Days after interview call I got the email stating that I got selected in interview. The offer email I got was from Circumnavi email address and not from any company email. A reputed company will send offer letter only through their letter head. When I ask about this, they told me they will not disclose it as it is company policy. Then Circumnavi person start asking me to pay nearly one lakh for visa processing. As per him after payment they will send agreement in stamp paper through post. But how I can believe they will send a valid legal agreement? What I will do if they send an agreement same as one they send for technical evaluation ? They don’t need to see any of my academic documents to check whether they are authentic. Before doing any such verification they demand for money to go for next process. Then I felt more suspicious and told them to hold my file. After that he told me they can’t hold the file and will close it. Last day only I had strong doubts and got suspicious about their acts. Now it is more than 4 months and they again call me saying that they can process my file and so send them payment for visa process. When I ask, whether that position I was interviewed still persists, they said its the same position. Do a company holds a vacancy for more than 4 months ? Do you still have hope in them? Do you have more info or have any experience with them? We would like to draw your attention to one more thing that the Technical Evaluation is been processed by the Immigration Experts not by the Embassy, But yes according to the guidelines by the Embassy only. Let us know if you any query. Totally a waste organisation. They assured me that I will get Hong Kong QMAS also promised me that they will provide best alternative solution if my visa application got rejected. Initially they collected Rs 4000 for technical evaluation, then asked me to clear IELTS for which I payed Rs 12,000/- Then Consultation fee Rs 89000/- and education assessment fee Rs 25,000/-. My application got rejected and I informed consultancy regarding the same and there was no reply form their side. I asked for alternative solution or refund. They asked me to accept a refund of Rs 5000 in return they need an email confirmation of closure of my file. I have shared my experience. Other people may have different one. So check those and make your own decision as its your hard earned money. Thanks for sharing your experience with us. This is much appreciated. Thank you so much for this useful information. Keep blogging. Being a victim of that so called forgery and fraudulent circum navigation, I am once again request you not to waste ur valuable time effort and money. 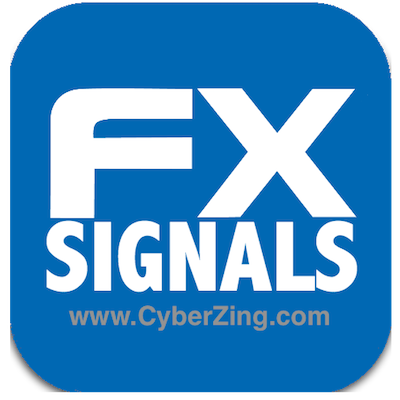 Be safe turning a deaf ear to all the false advertisement..
It’s a fraud company they don’t know anything about immigration they exist only to make you fool with your immotion. Never ever deposit any money to them. I am regret because I have lost my hard earned money. From now on I will keep posting against them until I’ll get my money back.